In Japan, there is the custom that girls offer some chocolate to the boys they like on Valentine’s Day. When I went to the department store, many chocolate shops were doing the promotion of their Valentine’s Day chocolate extensively. Of course I could taste their sample chocolate as much as I liked, so I went from one shop to another, trying each chocolate and finally bought the chocolate below. The thing I realized this year is that there were many chocolate stands from France and Belgium, which are the best places for chocolate. Also some foreign chocolatiers were in the shops, selling their own chocolate. 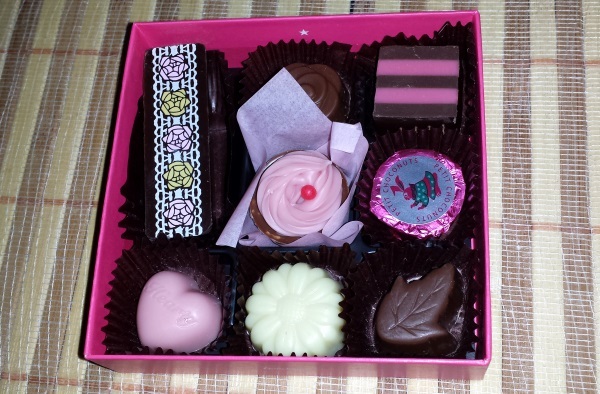 Every year there are more and more varieties of chocolate, so choosing some for my husband can be quite fun. However, in Japanese companies, there is a strange custom that female workers give “Girichoko” to male coworkers. 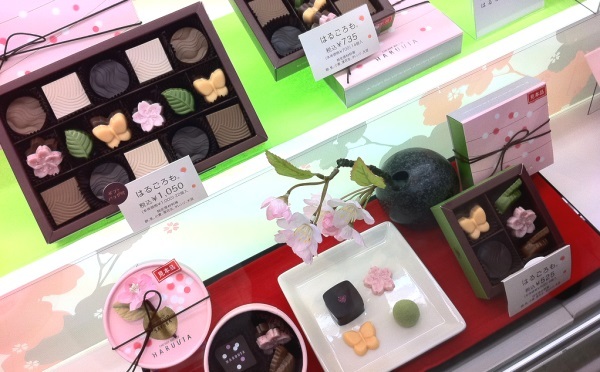 (Girichoko is a chocolate given out of social obligation on Valentine’s Day.) Choosing Girichoko is just a pain for women. I guess that for boys too it must be quite bothering to return the favor on White Day, so I really wish this system of Girichoco would disappear.